It seems quite fair to say that innovation runs through Samsung’s veins…..literally!! The Korean cellphone giants are known for coming up with such unique ideas that always tend to leave us all scratching our heads. The Samsung Galaxy S4, released a few months back created headlines all over the world and is still doing so with sales exceeding more than 20 million units worldwide within the first 4 months of its release. With barely just a few months into its release, Samsung are already contemplating on the launch of the Samsung Galaxy S5 sometime in 2014. Rumors have been flying rampant regarding Samsung’s next gen camera sensor which might crawl its way onto the Galaxy S5. 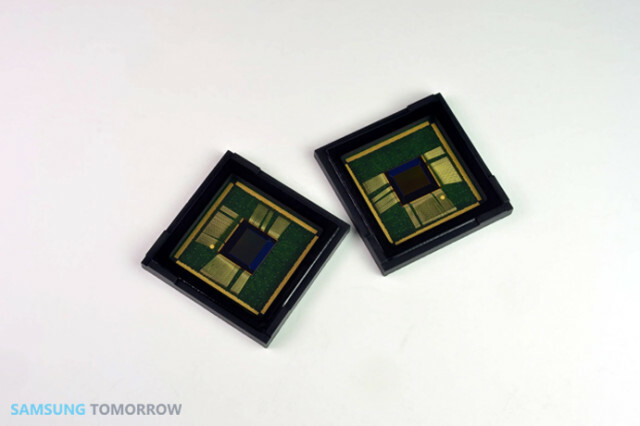 According to Samsung Tomorrow, the company are currently working on an all new 8MP CMOS image sensor for “premium” mobile devices dubbed ISOCELL (patent pending). As we all know, this is the age of slim smartphones with sleek looks. With that in mind, Samsung have yet again come up with another little masterpiece known as ISOCELL which is a completely new way of shrinking down pixel size while at the same time improving the overall camera performance.This can be achieved thanks to a tiny physical barrier between pixels through which ISOCELL is able to isolate each individual pixel on the camera sensor, enhancing image quality with less cross-pixel interference. 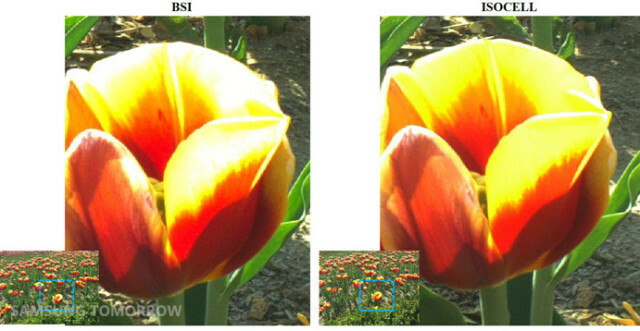 The result is a solid low-light performer that produces 30% better dynamic range than current backside illuminated (BSI) sensors. The comparison clearly shows what the new sensor is capable of and what we could expect to have in store for us when it (hopefully) comes bundled with the Galaxy S5 next year. Another interesting point to note here is that, Samsung even managed to shrink down the size of the entire camera unit, ensuring ISOCELL will be the perfect fit for a likely slimmer Galaxy phone. Samsung says the ISOCELL will go into mass production later this year. Impressed ? Gmail App for Android gets Updates, Are they Prepping for Android 4.4 KiKat?